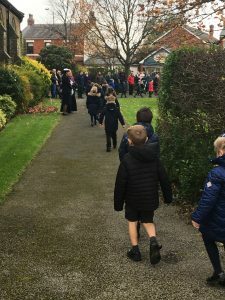 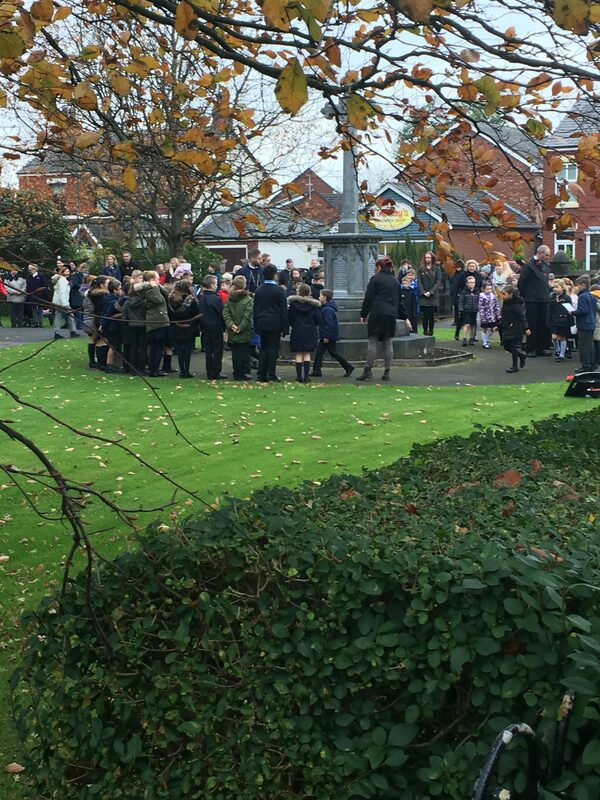 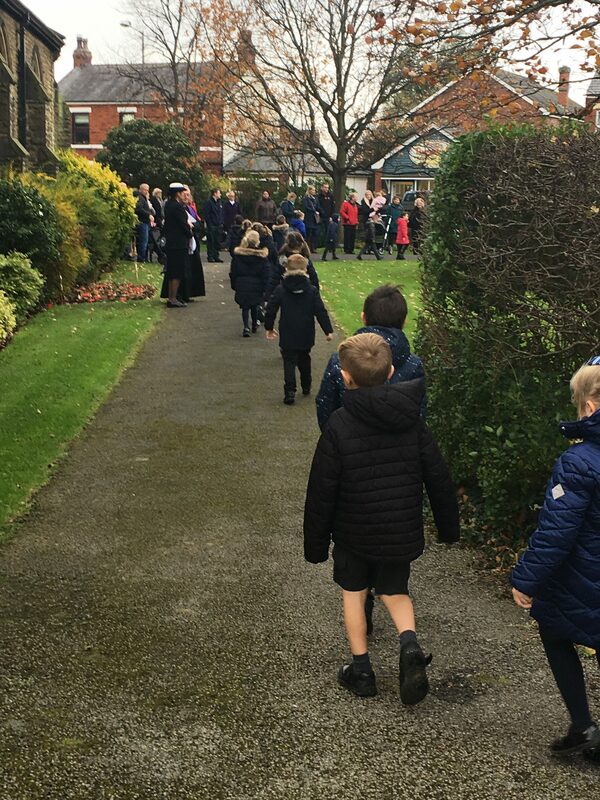 I was so, so proud of the THT children today, as they all took part in a moving Remembrance service around the War Memorial. 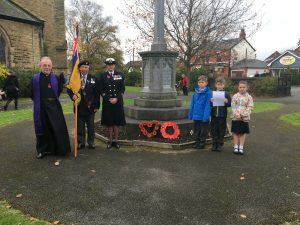 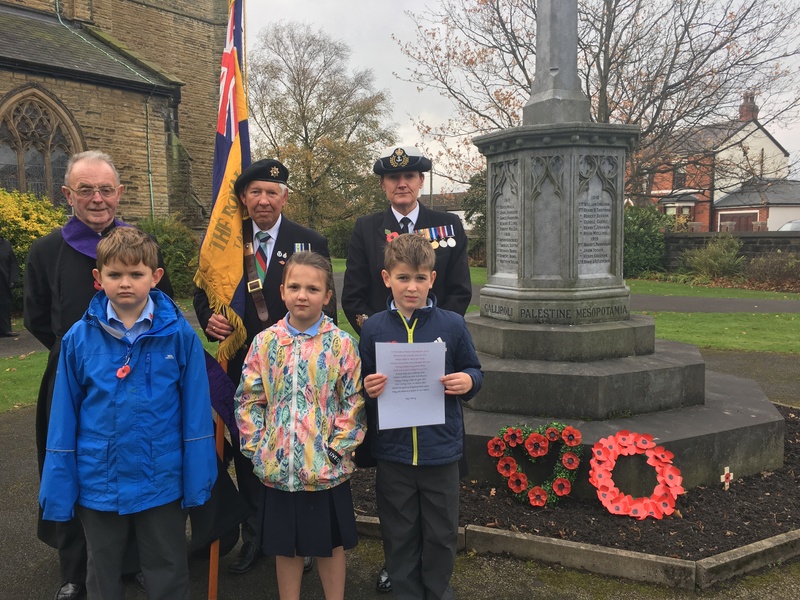 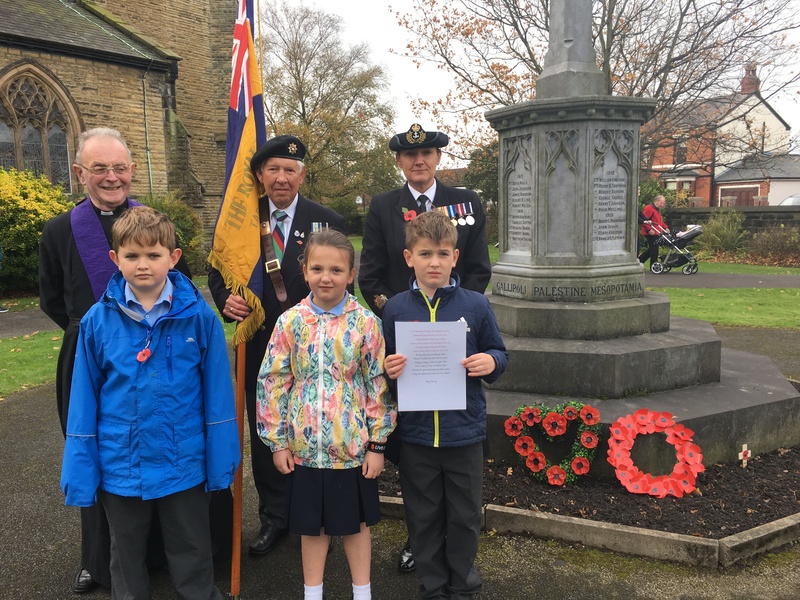 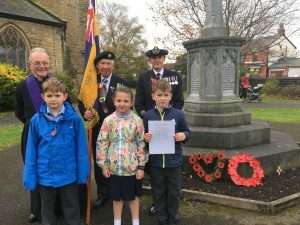 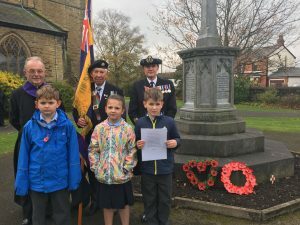 Fr Tom led us in some prayers and some of our children and Warrant Officer Knott (one of our Mums) read out the names of all those from Tarleton who had died during the two World Wars. 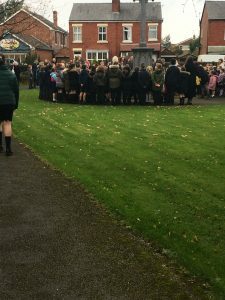 The choir then sang beautifully followed by the whole school joining in with the song ‘No Wars will stop us singing’.